As the start date for the Rainbows after the Rain Blanket and Poncho CAL is approaching fast, it's time for the introduction post to give you some genral ideas about the CAL and the supplies you'll need. 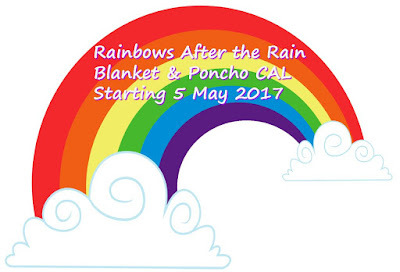 The Rainbows after the Rain CAL (RAR CAL) is a continuation of the Wade's Blanket CAL Zelna of Zooty Owl and I hosted together in 2015 and will bring you a blanket and a poncho design. 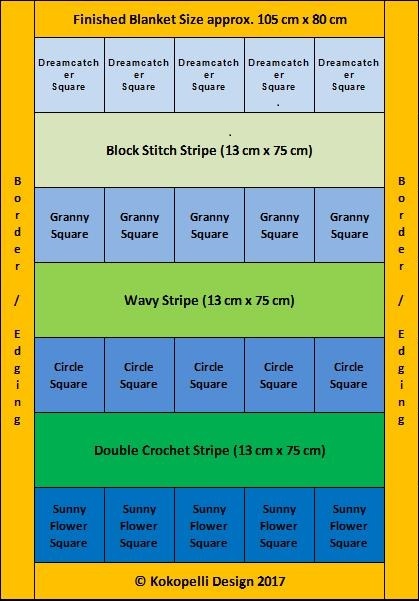 I was honored when Zelna not only asked me to co-host again, but also to try and design my first ever crochet square and maybe do a photo tutorial for an alternative stripe design. And here I am! Thank you for letting me be part of this! The CAL will be a mix and match galore of different squares and stripes with all the fun, but also some things you might have to deal with. We will post a new pattern every two weeks on Friday starting May 5th 2017. 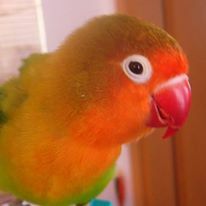 If you like to meet other members, join the Zooty Owl CAL Group on Facebook! First thing to consider is the choice of your colors. Zelna suggested to use at least six colors: 2 brights, 2 pastels, 2 neutrals. I chose my colorway due to a picture I saved during the Seaside Winter Blanket CAL in 2016. The colorway was made up by Tracey Driver of Bluebird and Daisy and was perfect for me wanting to make a baby blanket for the baby boy of dear friends. So my choice is Stylecraft Special DK in the following colors: Denim (1 skein), Storm Blue (1), Cloud Blue (1), Mocha (1), Camel (1) and Cream (2-3, as it's the main color). The amount you need might be different from mine, changing with size of the blanket, thread tension, color placement and yarn. Second is the layout, which will differ a little from Zelna's blanket in squares and stripes. Like her I made a little layout graph for you to save or print, so you can keep track of squares and stripes you will make. My blanket will be about 105 cm x 80 cm in the end and will be made of squares and stripes from former CALs and of course the upcoming RAR CAL. And now get your yarn and hooks ready and join us for the first pattern realease of the 2017 Rainbows after the Rain CAL on May 5th!